← Veg of the week – Potatoes! Its that point in December where you may have started thinking about presents to give your friends and family, so over the next few weeks we’ll be sharing some cheap homemade present inspiration as well as a gift guide for cheap and ethical presents. This is the first instalment, as knitting this scarf may take you up to Christmas Eve to finish. But fear not! This is one of the easiest and cheapest knitting projects I’ve ever done and is perfect for the beginner knitter or as a quick project if you’re already a knitting master. Yarn comes in hundreds of different styles/colours/materials, which gives you a lot more flexibility than if you’re buying a scarf from a shop. There are plenty of online shops selling hand-spun and dyed wool, recycled yarn – all it takes is a little internet searching to find something that fits your budget/requirements. I used this wool, and the final product cost me about £ 15. Black sheep wools – offers a huge selection to suit many budgets/styles and ships worldwide. When the scarf is long enough, bind off and sew the short ends together using leftover wool and a plastic needle designed to be large enough to use with wool. 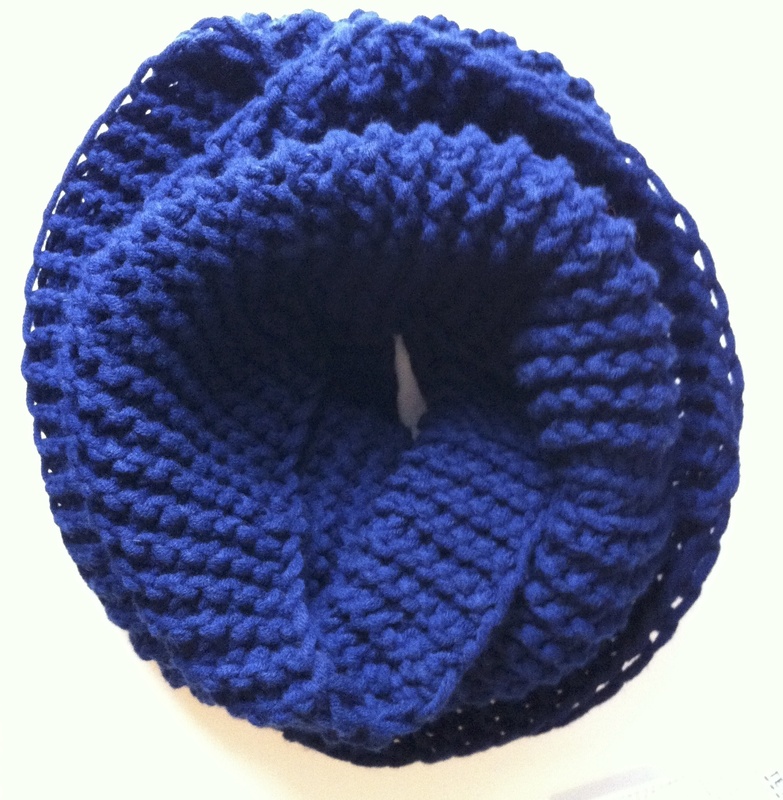 I sewed mine together to form a moebius strip because apparently this makes the scarf lie better when you wear it. Alternatively, you can cast on only 20 stitches and make the scarf long enough to wrap around 3 times.